St. Mary’s Adult Faith Formation invites you to study the Gospel of John beginning on Sunday, January 6th, at 9 a.m. at St. Anne’s Place. The Turning Point: A Study of the Gospel of John, guided by Dr. Allen Hunt of Dynamic Catholic, is a nine-session Bible study/video experience that will introduce you to eight miraculous encounters with Jesus. You will be introduced to people and stories in the Gospel of John that aren’t found anywhere else in the Bible. Participants will delve into the story of Lazarus, the woman at the well, Nicodemus, the wedding in Cana, Jesus washing the feet of his disciples and the woman caught in adultery, all transformed by their encounters with Jesus. By entering into their miraculous stories, you will encounter Jesus in a personal way and develop a deeper relationship with him that will transform your everyday life. 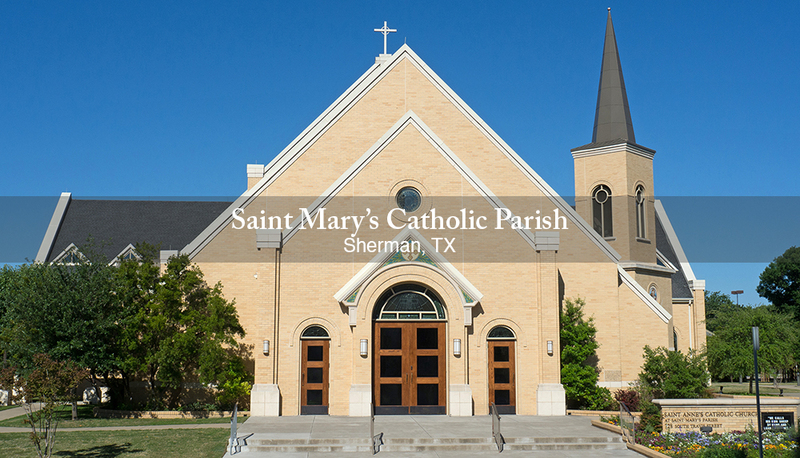 Contact Pam at 903-821-6162, email pdeffibaugh@stmarych.org or call the church office if you are interested in joining the study. The cost of the workbook is $12.95. One of the most remarkable things about our Faith is that by God’s grace, we have become his adopted sons and daughters. In your day-to-day life, what does it mean to be a son or daughter of God—an heir to his promises and blessings? When you sit in the pews each Sunday, what does it mean to you to be part of his family, the Church? To help you uncover this meaning, we will begin an eight-week study, Ephesians: Discover Your Inheritance, on Wednesday, January 9th, from 6:30 – 8 p.m. You will not only discover your unique gifts and calling as a member of Christ’s Church; you will also help us to grow in fellowship as a parish as we grow closer to Christ together. Contact Jane Karleskint at janekarleskint@gmail.com for more information or to register for the study.